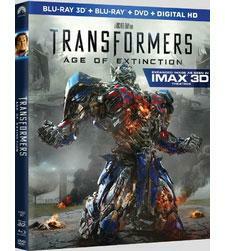 On the heels of last week's release of Transformers: Age of Extinction, the first Blu-ray title with a Dolby Atmos soundtrack, Dolby has announced three additional titles that will carry an Atmos soundtrack: Paramount Pictures' Hercules (November 4th release) and Teenage Mutant Ninja Turtles (December 16th release), along with Lionsgate's Step Up All In (November 4th release). Atmos was a big theme at the recent CEDIA Expo, where we heard a lot of impressive demos of this immersive audio technology in a home theater environment. To experience Atmos at home, you don't necessarily need a new Blu-ray player (depending on how up-to-date your current player is), but you do need a new Atmos-capable AV receiver or preamp and the accompanying height speakers. To learn more, check out Dennis Burger's article Dolby Atmos at Home: The Known Knowns and the Known Unknowns. Dolby is also pointing readers to the company's Home Theater blog to learn more about Atmos. Those of you who love peak to behind the curtain might enjoy this short video interview with Greg Russell, the re-recording mixer who oversaw the Atmos mix for Transformers: Age of Extinction. • Marantz Presents Its First Dolby Atmos AV Preamp at HomeTheaterReview.com. • Integra Expands Dolby Atmos Lineup of Receivers and Pre/Pros at HomeTheaterReview.com. • Pioneer Launches Atmos Speaker System at HomeTheaterReview.com. Promising Signs for UHD Blu-ray, But Challenges Remain Jeff Berman discusses where things stand with the Ultra HD Blu-ray format: the many promising signs, as well as the challenges that remain. 10 Great Ultra HD Blu-ray Discs Released in 2017 Looking for the perfect stocking stuffer for the videophile in your life? Adrienne Maxwell picks 10 great Ultra HD Blu-ray discs that came out this year. Disney Finally Embraces Ultra HD Blu-ray With the news that Guardians of the Galaxy Vol. 2 will be available on Ultra HD Blu-ray disc, we see that Disney has finally lined up with the other major studios in embracing the higher-resolution format.